“Early studies show that, when ingested, aloe vera assists in lowering blood sugar levels, says the University of Maryland Medical Center. This refers to individuals who have type 2, or adult onset, diabetes. Also see our blog article on how aloe vera increases vitamin absorption here. 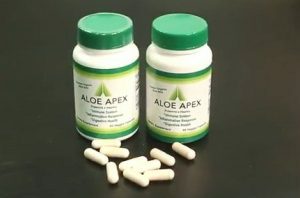 Aloe Apex contains the world’s most bio-available aloe, in supplement pill form. See our Products page for more information.